A colleague of mine is receiving a big award from our school district. I can't be there for the awards reception, but I was able to make her this card, using the fun stamps and dies from Papertrey Ink's Lighten Up collection. I used the Cuttlebug Polka-Dots embossing folder to get some texture on my background and added a strip of My Mind's Eye Charm Decorative Tape. To get just a subtle pattern on my lamp shades, I used Versamark ink with the coordinating stamps from Lighten Up. What a beautiful card! Love the colors and those adorable lamps!! Congrats to your friend! 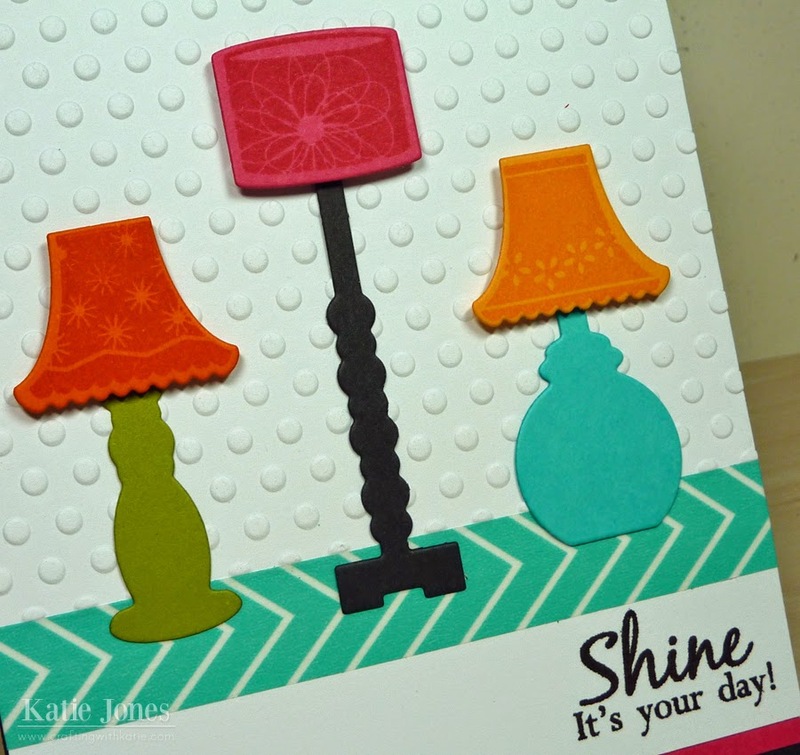 Adorable card...great lamps and colours!! 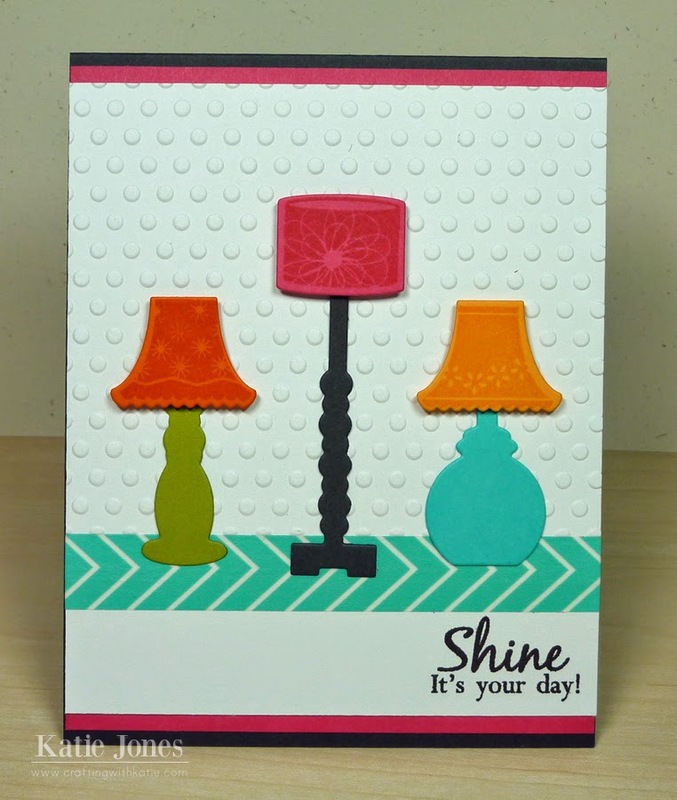 What a clever card...the lamps are cute for the sentiment and I like the Washi and embossed dots. Sweet job! I love love love this card! The colors are perfect and the lamps are adorable. Great work as always! OMG Katie what an awesome card I so love it. You really did one fantaswtic, clever and creative job. You just always come up with the neatest ideas and then see them come to life on your cards. Gosh you have to have the best dreams ever!! Katie ~ Oh this is such a CUTE card and LOVE your play with words! I bet she LOVED this card ~ such a bright and cheerful card!